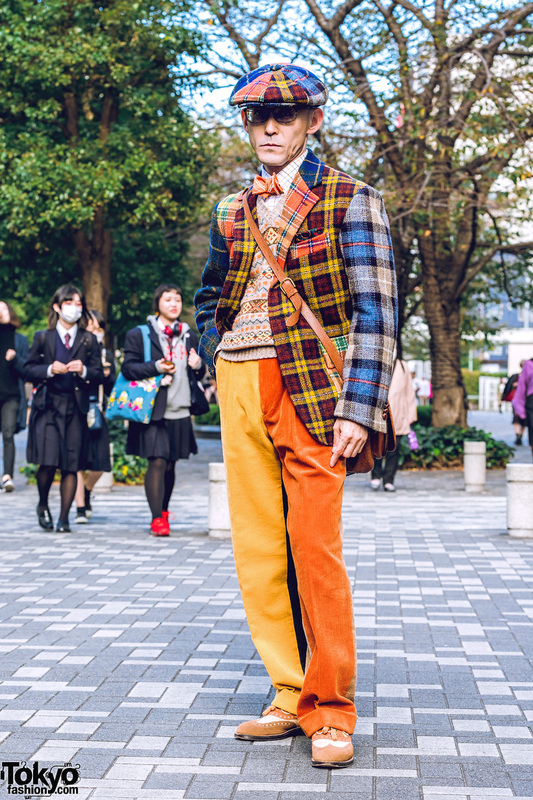 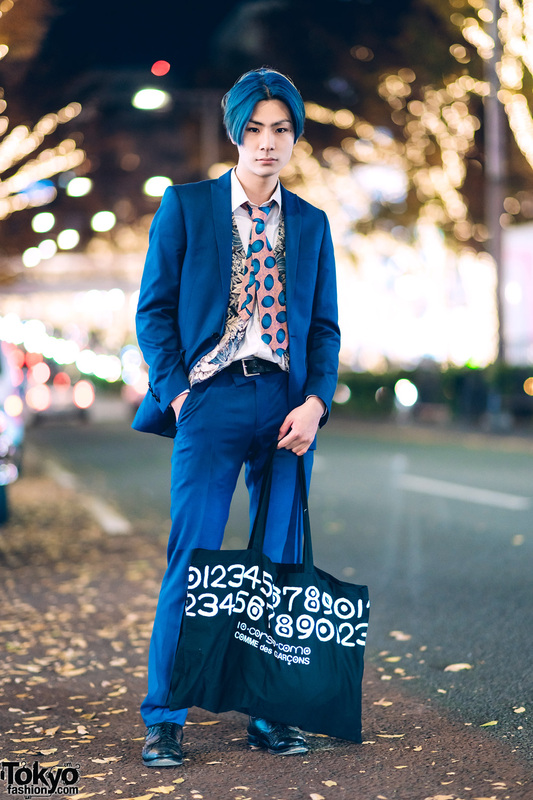 Harajuku office worker sporting a retro menswear street style with multi prints while out an about on the street. 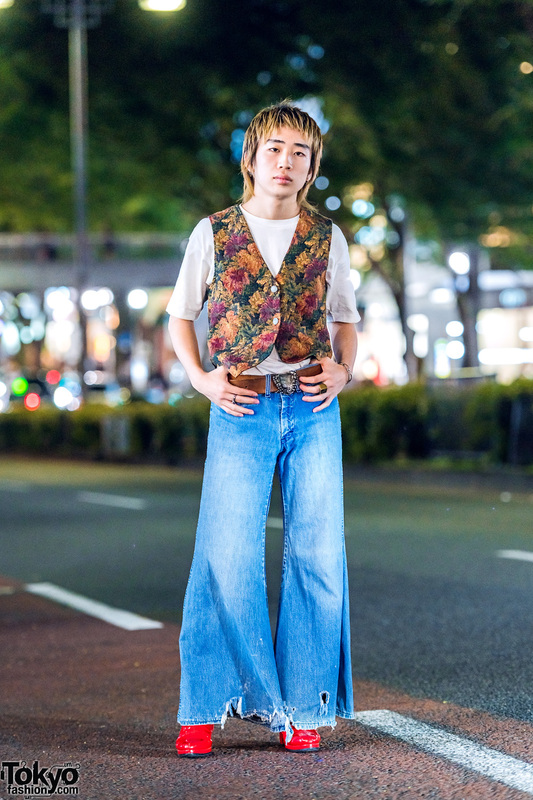 Japanese teen sporting a retro vintage street style while out on the Harajuku street. 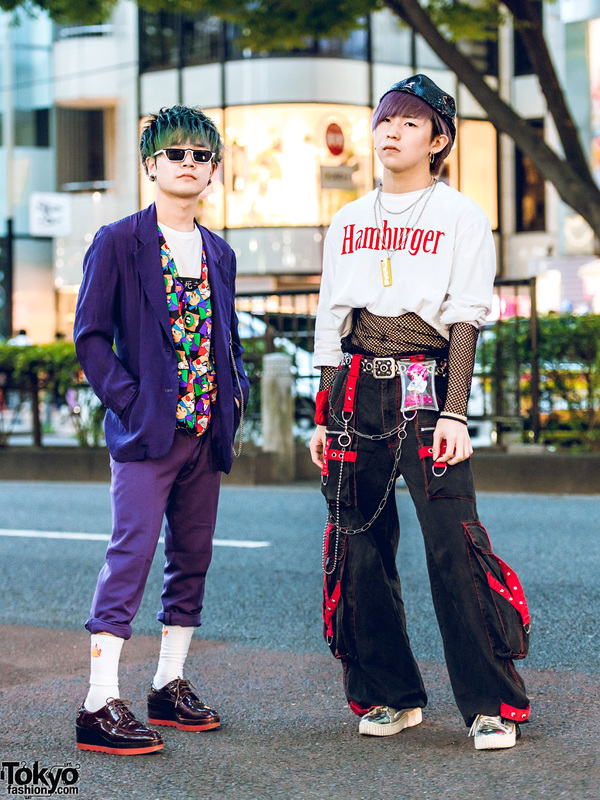 Purple-haired Harajuku student sporting a layered street style with mesh coat, vest, layered tops, ruffle skirt and lace-up shoes. 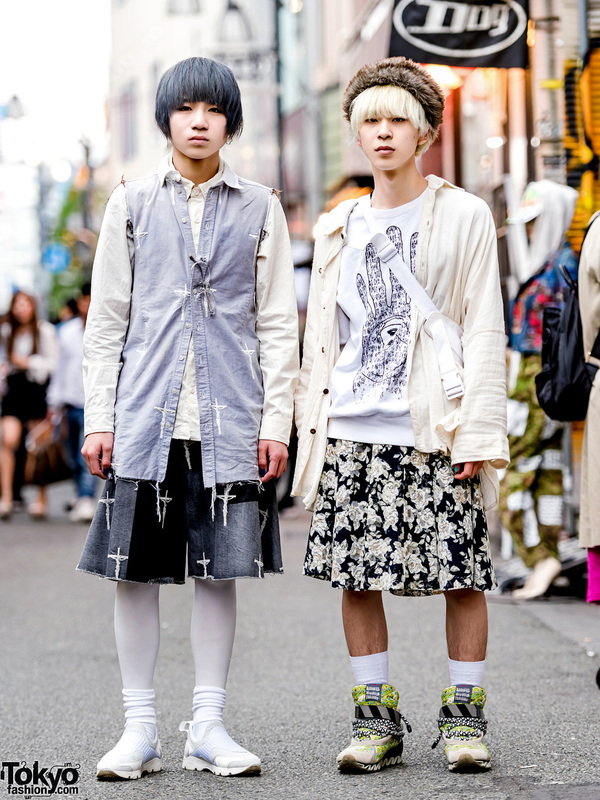 Harajuku teens sporting white street styles while out and about on the street.